Old Macdonald’s Farm is thrilled to welcome a new addition, Gladys the African Sulcata tortoise. 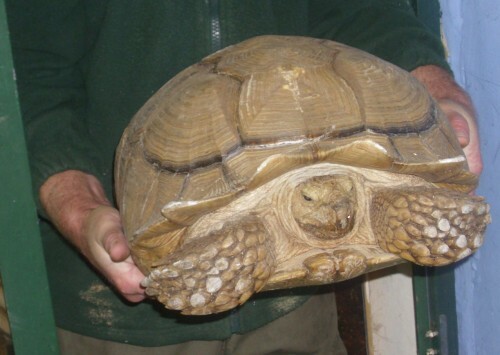 Gladys’ owner is no longer able to look after her and has given her to us here at Old Macdonald’s Farm so she can live with her new friends in our tortoise enclosure. Gladys is over 40 years old and looks much better than Old Macdonald, who is even older than that himself, and weighs close on 5 stone. 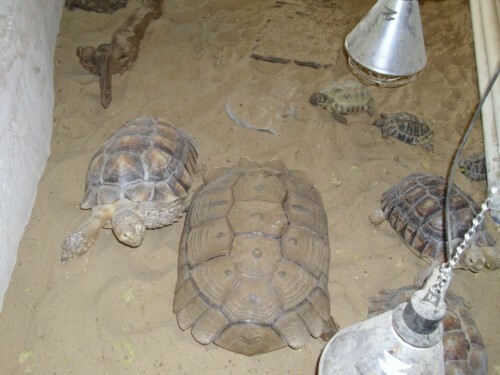 African Sulcatas are the third largest tortoises in the world and the largest to live on the mainland and not islands. They originated from the Saharan area of north Africa and are considered to be vulnerable and at risk in the wild. In the wild they are thought to live up to well over 100 years.